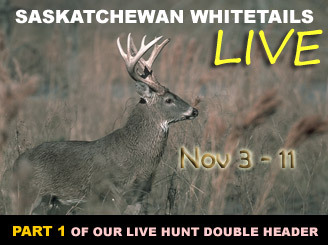 We're going to fire you up with whitetail action over the next three weeks with two, back to back Live hunts starting in Canada. We're hunting with Rob Nye, of Rob Nye's Wilderness Adventures located near the Carrot River area of Northern Saskatchewan. 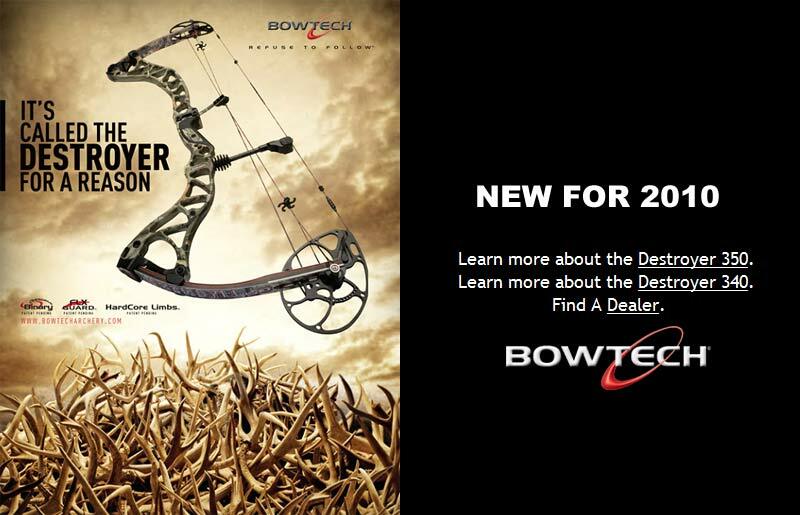 Along with my friend Dwight Schuh (Sr. Editor, Bowhunter Magazine) we'll be bowhunting trophy-class bucks from a combination of both baited and unbaited stand locations with most hunts running sunrise to sunset. This hunt takes place during the rifle opener and that means no camo. It's also cold as heck up here and this is a great opportunity to test some new cold weather gear like the Sitka Gear's Dutch Oven heated vest. For my bow I'm using my 09 Bowtech Admiral with Easton Aluminum arrows and the new Muzzy Phantom MX cut-on-contact broadheads. I'm not used to this cold. Not this early in the season anyway. It was in the teens before dawn but there was no wind. 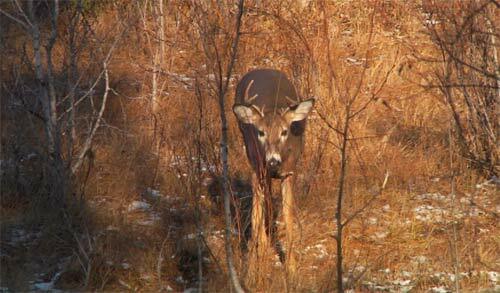 The plan was to hunt the section that contained a buck that Rob had been getting on camera. It was the same buck I had posted on the forums last week under the heading of "Score." The morning started with a visit by several does and fawns. No buck showed up until high noon when this small 6-pt came up the hedgerow. He is just a little guy, maybe 1.5 years old, but he had to weigh 160 on the hoof. In fact, the fawns here are as big as our alpha does back home. I watched the sun come up and then go down. And I don't think I had more than a two our wait before a deer showed up. Just no bucks other than that little dink. The rifle hunters did better. Three bucks were killed today with the largest around 125".